The bill for the Law Society’s failed conveyancing software project Veyo is likely to be £7m, its chief executive has revealed. In a wide-ranging interview with this website – which will be serialised over the coming days – Catherine Dixon said that she and president Jonathan Smithers pulled the plug because “the amount of time and further investment needed to get Veyo to a successful launch was too great, particularly in light of the change in the market”. However, in terms of accountability for the failure, she indicated that internally the only consequences would be a ‘lessons learned’ process that was underway, given that all those involved in developing Veyo were no longer involved at Chancery Lane. Ms Dixon herself only joined at the start of 2015. 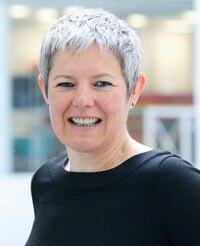 Even though Mr Smithers, a conveyancer himself, has been a Law Society office-holder since 2013, she pointed out that he had only become a director of Legal Practice Technologies – the joint venture company with IT giant Mastek that was meant to be delivering Veyo – in February 2015, as did she shortly afterwards. Not long after, Veyo’s chairman – her predecessor Des Hudson – and chief executive Elliot Vigar left their positions, and an independent review was commissioned to look at whether Veyo was ready for launch. “Jonathan worked really hard to try and make the product a success,” Ms Dixon said. The problem, she explained, was that the original vision of Veyo as a portal which would provide innovations such as the chain view and a secure deal room – which she described as “pretty sound” – morphed into creating a case management system. This has now been overtaken by the Free2Convey product being offered to clients of members of the Legal Software Suppliers Association, with its launch is due next month. Further, she pointed out, the society has commissioned a review of its governance, and last week appointed Dr Nicola Nicholls LVO to lead it. The review will consider, among other issues, securing wider member involvement, the role of the society’s council, the right structures to support the council, “the representativeness of the council as the profession changes”, and the role of the office-holders. Dr Nicholls is a former director of private equity firm Charterhouse Capital Partners and a former non-executive director of BPP University. She is currently chair of the Woodland Trust. I am trying to locate “the people waiting for Veyo”. any takers? Not here. However I did offer my services to aid drive this forward right back at the beginning when they approached the market for feedback. Seems their unwillingness to accept help from those with expertise in this area aided their downfall.. Absolutely awful. What do they take us for? Their guilt is obvious to everyone but themselves. The poor saps at Veyo built what TLS wanted them to build and changed it over and over again at TLSs request – this is well documented. Now they are getting blamed for its demise by those in charge. The product was ready for a beta launch in April. How does a business that is well funded, resourced and has a beta product fail before it is even launched? Ask the ones with the sloping shoulders in this article. I am appalled. Someone, somewhere benifited, because £7million doesn’t just disappear. Lol, no one’s ever accountable, and and the end results is a lesson’s learned exercise. Isn’t it interesting that nobody has heard from Hudson or Vigar or indeed any of the other senior people at Veyo who left in quick succession after TLS effectively took over – on what really happened behind closed doors? No serialised interviews with them – only the party line from Dixon.